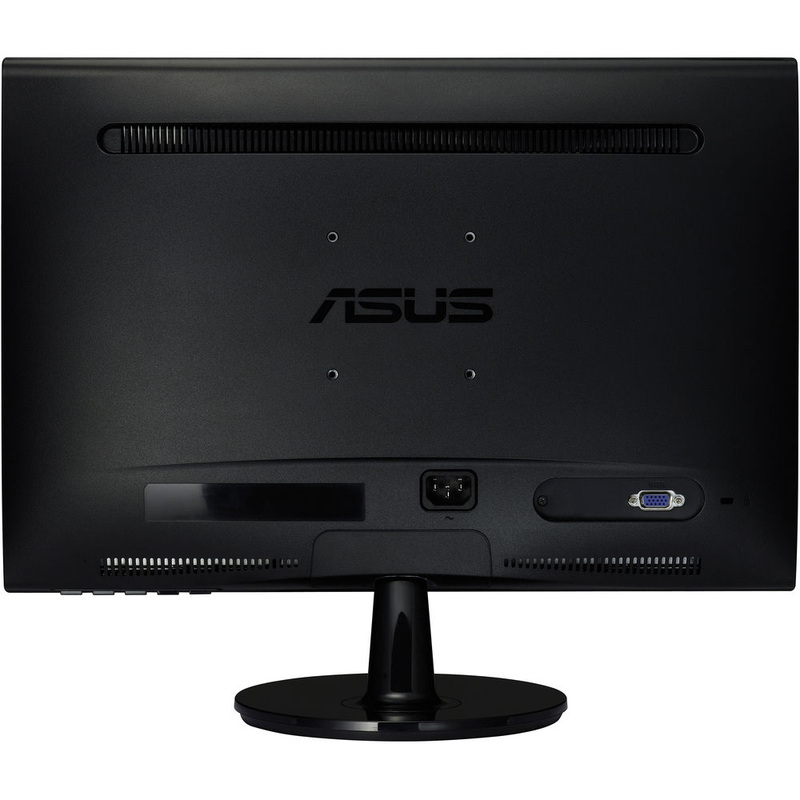 is a desktop monitor that features a resolution of 1600 x 900 and a 16:9 aspect ratio. The display features a sturdy stand and its slim profile does not compromise on style, ensuring stability and durability. 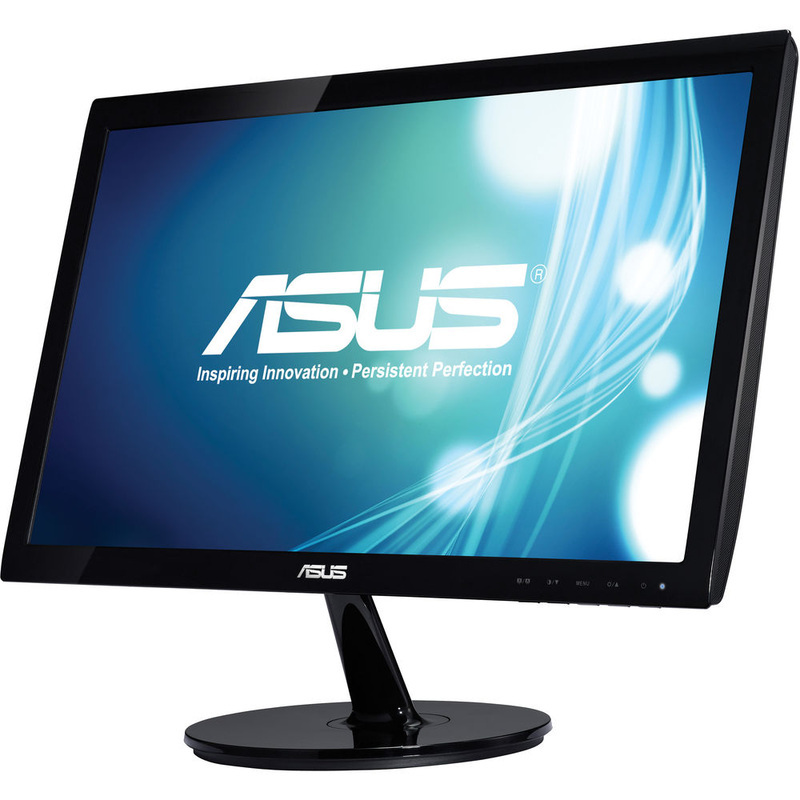 It also boasts an amazing 80,000,000:1 ASUS Smart Contrast Ratio, 250 cd/m² brightness rating, 5ms response time, support for 16.7 million colors and 170°/160° viewing angles. The eco-friendly design reduces power consumption by 25% and is manufactured with 50% less hazardous materials. 80,000,000:1 high contrast ratio, the VS207D LED Monitor is optimized for the finest image and color quality. It also features a sturdy stand and its slim profile does not compromise on style, ensuring stability and durability. Indulge your visual senses with 1600 x 900 high definition + resolution and 5ms quick response time for work and entertainment. The 19.5" widescreen fits two pages side by side, meaning ample screen space for different contents to help enhance your working efficiency. The perfect 16:9 aspect ratio enables borderless high-definition full-screen video display and gaming together with multimedia HD devices. The exclusive Splendid Video Intelligence technology optimizes video performance and image fidelity by enhancing color, brightness, contrast and sharpness. Six preset video modes (Scenery, Theater, Game, Night View, sRGB and Standard) can be selected via a hotkey.